Did you know that ATI is offering clients the opportunity to pilot formative assessments composed of Technology Enhanced (TE) items? Drawing on Common Core and state-specific standards, the items help districts and charter schools to successfully measure student mastery of the English language arts, math, and science standards which each state is assessing in 2014-15. TE items are developed, certified, and embedded in Galileo's Formative Innovative Item Pilot assessment library - accessible for use right now and through summer school! Have a look. Try them out. 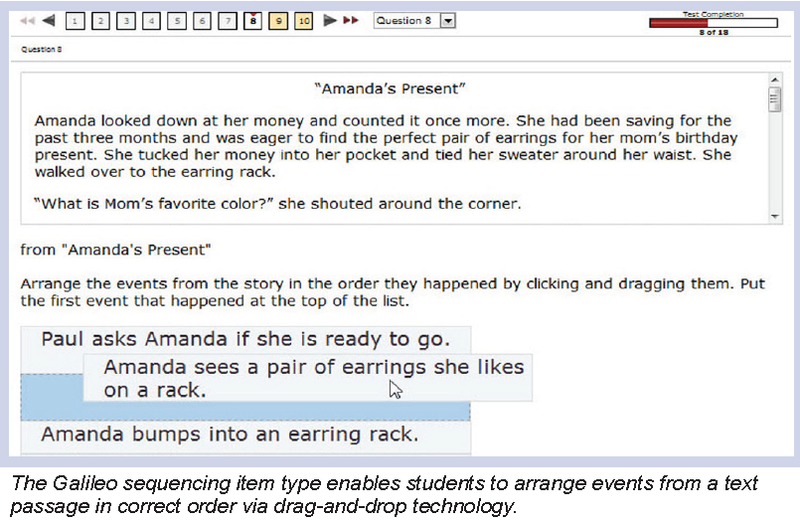 Teachers can start familiarizing themselves with TE reporting functions and students can gain exposure to the engaging item types such as interface enhanced items, item-collection, sequencing items, interactive text items, and multiple right answers. Guides discussing taking assessments with different technology enhanced item types and available reports are provided as links below. Thanks for using Galileo.